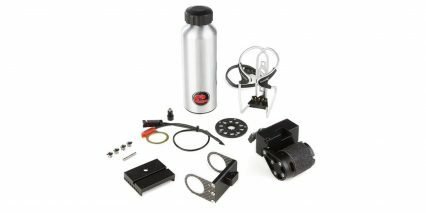 Founded in 2015 by an electrical engineer/car mechanic, Add-E provides electric retrofitting kits that fit nearly any bike. Designed to be a lightweight solution, these kits feature a drive system that weighs less than a kilogram and the “water-bottle” battery that weighs 1.2 kilograms. Add-E systems are available in two different motor sizes and two different battery capacity options. These kits are also designed to install in 30 – 60 minutes, then attach and detach within seconds after initial installation.